Losing a loved one is one of the most difficult things that anyone has to go through. Aside from having to heal emotionally, families must also deal with distributing the assets of the person who has passed away (the “Decedent”). If the Decedent did not create a proper estate plan, the assets will become part of the Decedent’s estate, and a court will need to become involved to distribute the Decedent’s assets to the Decedent’s beneficiaries, i.e. probate. This article discusses how the Florida probate process works for testate and intestate estates. When a person passes away leaving a will, then the person is deemed to have died “testate,” meaning that the person has spelled out their last wishes in a document. 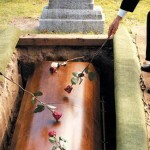 A judge will respect the person’s last wishes. The Decedent’s assets will be distributed to those persons or entities in accordance with the Decedent’s wishes after all creditors are paid. When a person passes away without a will, the person is deemed to have died “intestate.” In this situation, Florida’s intestate laws will apply. A judge will then distribute the Decedent’s assets to the Decedent’s family as directed by Florida law. The estate process for testate and intestate estates differs, particularly when the estate is opened. In order to open an estate, a person/entity will have to file a Petition for Administration in the court located in the county where the Decedent resided. In a testate estate, this person/entity is the person/entity named in the will as the executor/personal representative. Executor and personal representative have the same meaning. The executor/personal representative is the person/entity responsible for administering the estate. In an intestate estate, the personal representative is typically a family member. The personal representative cannot be a convicted felon, and must be over eighteen years of age. In a testate estate, the will must also be provided to the court. The will must meet the Florida statutory requirements, namely that it be signed by the Decedent, two witnesses, and be notarized. If the will is admitted and the personal representative is accepted, then the Estate is formally opened. With an intestate estate, since a will does not exist, the Court makes sure that the personal representative meets the Florida statutory requirements. If so, then the Court, so long as no objections are filed by any of the beneficiaries, will appoint the personal representative. In either case, the personal representative will need to retain an attorney to assist it with this process. In either a testate or intestate estate, the personal representative must provide notice to the Decedent’s beneficiaries and creditors of the estate. The beneficiaries of the estate are provided an opportunity to object to the appointment of the personal representative, and the validity of the will. The Personal Representative will have to keep the beneficiaries informed as to the status of the estate. The Personal Representative must also provide notice to all known creditors of the estate. This is done by sending a formal notice to all of the Decedent’s creditors advising the creditors that an estate has been opened, and that the creditor has ninety days to file a claim against the estate. The personal representative should also publish the notice to the creditors in a local newspaper to advise all unknown creditors of the pending estate. If these steps are taken, and a creditor fails to file a claim with the estate, then their claim is forever barred. After the ninety day creditor notice period is over, the personal representative must pay all legitimate claims. If there is a creditor claim that is filed which does not appear correct, the Personal Representative will object to the claim. The creditor then has the opportunity to file a lawsuit against the estate. Once all the creditors are paid, the beneficiaries are entitled to an accounting of the estate. The beneficiaries may waive this right, and have the remaining assets distributed to them. Once all the assets are distributed, the Personal Representative can petition the court to close the estate. What Is the Cost of a Typical Probate Proceeding? Florida statutes deem a three percent (3%) fee to the personal representative as a reasonable fee, as well as a three percent (3%) fee to the attorney of the estate as a reasonable fee. Fees may be greater if extraordinary services are needed. Unlike most law firms, De Varona Law works with its clients and rather than charge a flat 3% fee, De Varona Law will work on an hourly basis with a three percent (3%) fee cap in the administration of a typical estate. De Varona Law’s clients will often pay less than the 3% fee. The Florida probate process can be expensive. There are several estate planning steps that you can take to avoid this procedure. Please feel free to contact De Varona Law for a free initial consultation to discuss an estate/probate or estate planning to avoid probate. De Varona Law is a South Florida law firm serving Monroe, Miami-Dade, Broward, Palm Beach and Martin Counties. This entry was posted in Estate Planning and tagged Estate Plan, Florida Will, Probate by adevarona. Bookmark the permalink.